When Jordan and I started seriously saving for a house, we had a question: what do we do with that cash? We didn’t know exactly how long it would take us to buy a house and putting it in the stock market felt too risky. But leaving it in a savings account felt, well, boring. We were able to get some advice from a very smart financial planner and she suggested leaving our money in a savings account where it was safe. While we definitely missed out on some great returns in the stock market during the two years we were saving for a house and it was peace of mind knowing it was safe. Now we’re facing that same question again. Since Jordan and I re-did our financial plan and re-worked some very specific goals to align with our life planning vision, we feel stuck again. We don’t want to invest this money because we plan to use it in the next 3-5 years, but what other options should we consider? I look at our money and divide it into two categories: long-term bets and guaranteed returns. Investing in stocks is a good long term bet, according to history. We are still investing in our retirement accounts, Henry’s 529, and a taxable investment account. Yes, it’s hard to continue investing as the market bounces around, but we know this is money that we don’t need anytime soon and hopefully, when we do need it, it’ll be worth a lot more. For the rest of our money that we’re aggressively saving to put our life plan in action, we want a guaranteed return. I’d hate to put our move and our life plans on hold because the market takes a dive. These guaranteed returns aren’t nearly as high as what we could potentially make with investing, but that’s not our goal with this money. We need it to be there when we need it. End of story. The easiest, and most common option. Keeping your money in a savings account may not feel very exciting, but it’s a safe place to keep the cash that you really need. That said, there’s a range of options available here. Some are great and some are terrible. The savings accounts that are great usually have very competitive interest rates, no fees, and no account minimums. If your bank gives you a terrible interest rate or tries to charge fees, it’s probably time to shop around for a new one. Luckily, there are plenty of banks that offer these great features, so don’t settle for less. Whatever bank you choose, whether it’s online or a traditional bank, it should be FDIC insured. That means that your deposit into a savings account, money market account, checking account, or CD is guaranteed by the government. If the bank fails, the government will make up for your losses, up to the insurance limit. The insurance limit is currently $250,000 per person, per institution. If you have a joint account, each person is covered at the $250,000 limit, for a total of $500,000 insurance. This is basically the same thing as a savings account. It’s supposed to pay higher interest rates than a savings account, but after a quick search, the rates are currently pretty much even. You might find that a money market account requires a higher minimum than a traditional savings account. Similar to some savings accounts, you’ll also likely find a limit on the number of withdrawals you can make each month. Don’t get this confused with a money market fund. Unlike a money market account, a fund isn’t FDIC insured. It’s a mutual fund that invests in cash and cash equivalent securities. A CD is a certificate of deposit. They are issued by banks to people who are willing to lock up their money for a certain length of time, theoretically in exchange for a higher interest rate than you’ll find with a savings account. You’ll usually find that the longer CD term, the higher the interest rate. If you need to withdraw your money early, you’ll likely pay an early withdrawal fee. Just like savings accounts, CD’s are FDIC insured up to $250,000 per person, per institution. Since you can’t access your money for a certain amount of time without paying a fee, be sure that you’re not putting away cash that you’ll need. A treasury bond is a savings bond with the U.S. government. Think of it as providing a loan to the government: you give them money for a certain length of time and they pay you back with interest. There are three types of treasury bonds: treasury bills, treasury bonds, and treasury notes. You can check treasury yields through this site. The interest that you earn on treasury bonds is tax-free at the state and local level (yay!). But you’ll still need to pay taxes at the federal level (boo!). Paying off debt give you a guaranteed return. If you’re paying a loan with 8% interest each month, taking your money and paying off that loan is like a guaranteed return. Not only does it provide a guaranteed return, but it can bring peace of mind when you’re not having to make massive debt payments each month. That’s one of the main reasons I aggressively paid off my business school debt. Liquidity is a concern. The other options to stash your cash all end with you being able to access your money again. 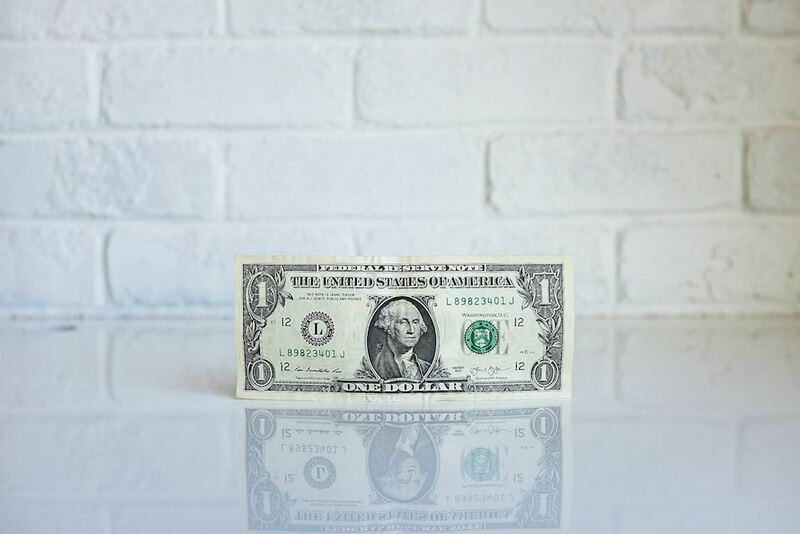 When you pay down debt you’ll definitely free up some of your monthly cash flow (hooray for no longer needing to make monthly debt payments) but if you need money for an emergency, you might not have it. I want to stress that we are still investing long-term. We’re making monthly contributions to our retirement accounts, Henry’s college fund, and a taxable investment account. We know this is money that we don’t plan to touch for years. We’re keeping cash for our emergency fund, our move to Hawai’i fund, and our freedom fund in a high-yield savings account. Easy access for us is key. We’re keeping the rest of our money in 6-month treasury bonds. We do have an adjustable rate mortgage that we are considering paying off, but right now the rate isn’t high enough that we feel like we need to. If interest rates continue to go up and we still don’t need that money in six months, we’ll probably buy more treasury bonds. It’s definitely not the most exciting option (really isn’t), but we can sleep at night without worrying about what the stock market is doing. And after months of sleepless nights with a newborn baby, I need all the sleep I can get.